So it wasn't really hundreds of thousands of dollars. And there wasn't a salary. 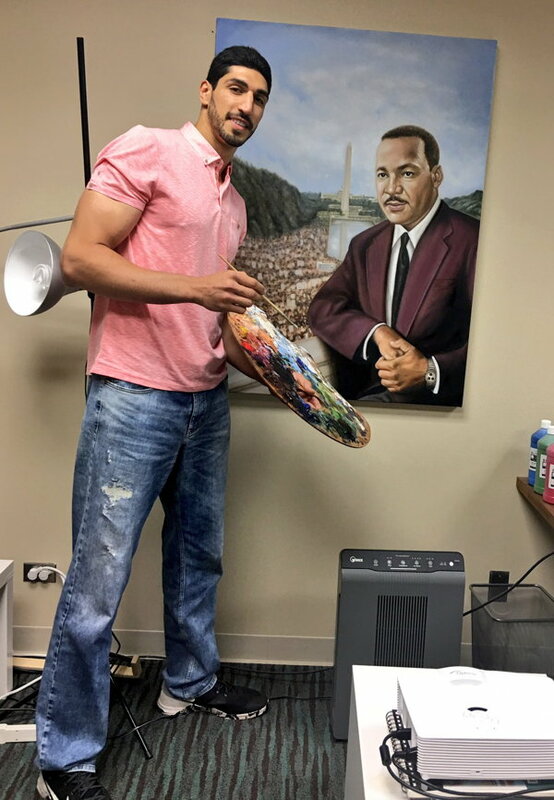 And Enes Kanter is not an actual professional basketball player. 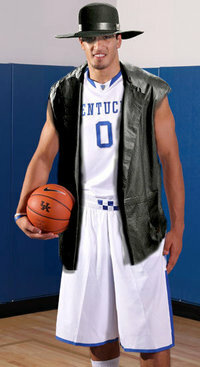 For now, though, he also is not a college basketball player. And that is the NCAA's shame. 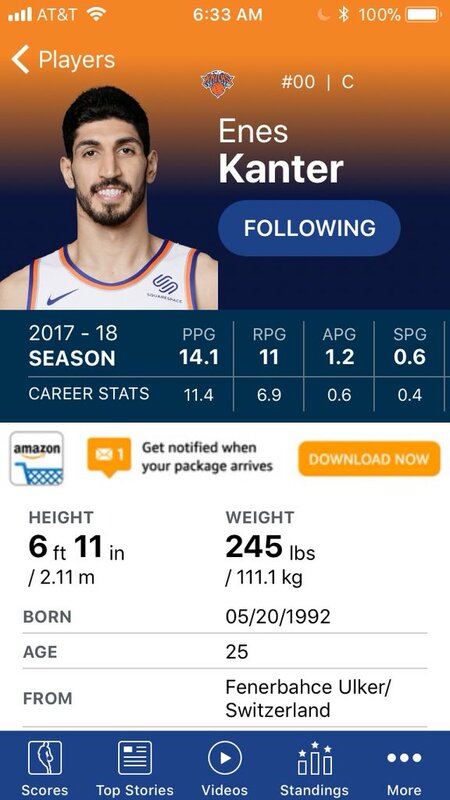 Late Thursday afternoon, Kanter, a freshman at Kentucky, was ruled permanently ineligible by the NCAA's student-athlete reinstatement staff for "receiving benefits above his actual and necessary expenses" while playing in the Fenerbahce club system in his native Turkey. 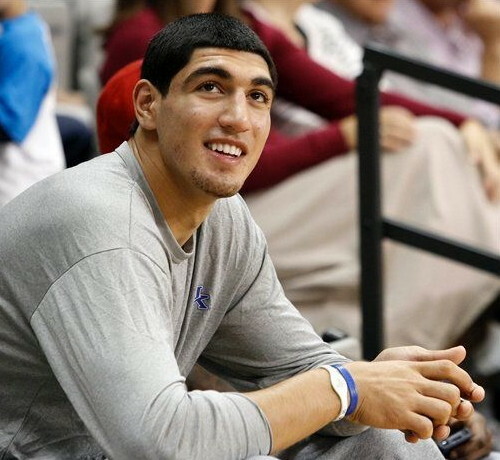 The NCAA revealed in its declaration of Kanter's ineligibility that the amount in question is $33,033. According to a source close to the process, about $20,000 of that money was used by the Kanter family to pay for Kanter' educational expenses - such as schooling and tutors - with the remainder still sitting in an account unused. The NCAA told the family that Fenerbahce would have needed to pay for those expenses directly for them to be permissible. The Kanters made it clear they were willing to return the available funds - and even repay the 20 grand because they weren't aware of NCAA procedures and regulations - but the staff declined the offer. According to the NCAA, actual and necessary expenses are those relating to practice and competition, such as meals, lodging, transportation and medical care. 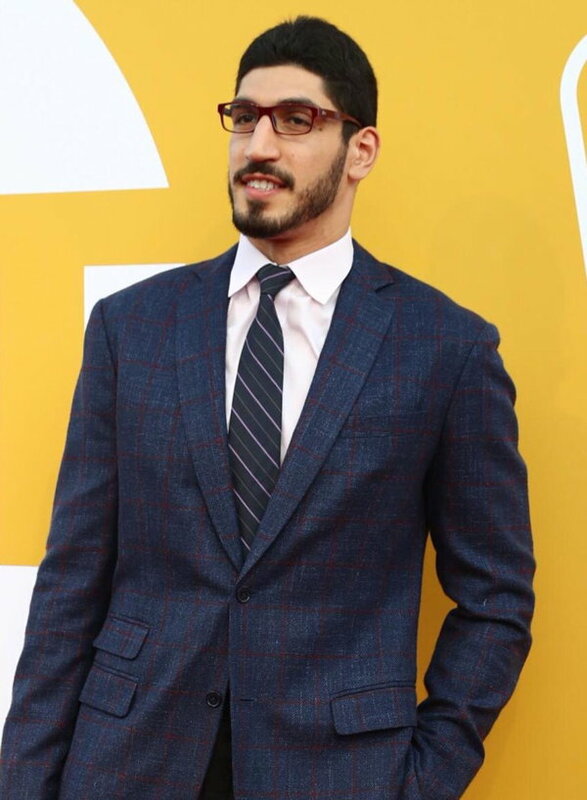 "Enes took advantage of an opportunity to play at the highest level available to him, but the consequences of receiving payments above his actual expenses is not compatible with the collegiate model of sports that our members have developed," Kevin Lennon, NCAA vice president of academic and membership affairs, said in a statement released by the organization. 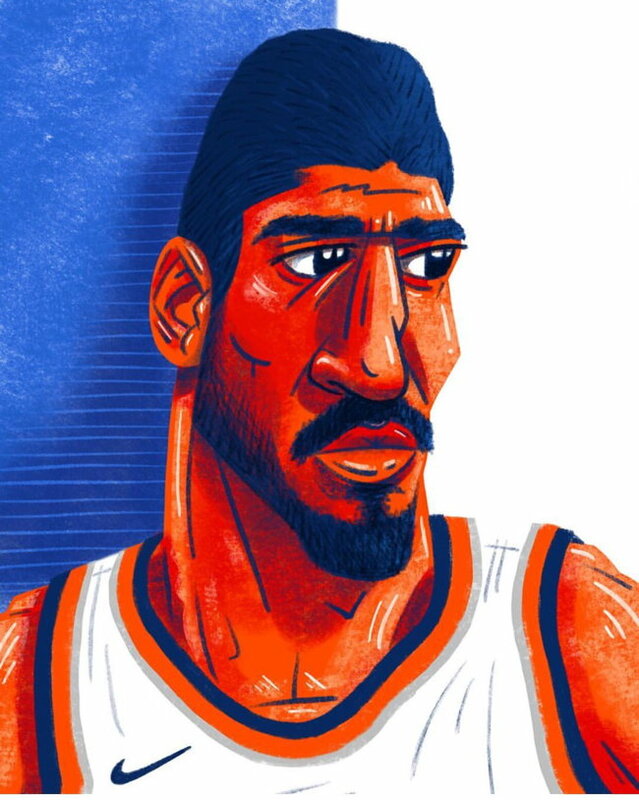 Kanter is a 6-11, 262-pound center who spent last season at Stoneridge Prep in California. He played three years in the Fenerbahce system, primarily on junior teams but also in nine games of the 2008-09 season with the club's senior squad. What is frustrating about the NCAA's decision is its guiding principle in many amateurism cases has been the "intent to professionalize." For Kanter to "professionalize" would have been quite simple. He could have stayed home. He could have signed a contract with Fenerbahce worth multiple millions of dollars. He could played in front of his family and friends and quite possibly have been selected this past summer to compete with the Turkey national team that, in its home country, finished second in the FIBA World Championships. If he'd been on that team, he would have received a condominium and a share of an $18 million bonus pool created for the players by the Turkish government. Given all of this, Kanter's intent to "amateurize" was quite clear. He left his home. He traveled roughly 5,000 miles to the United States. He searched through several prep schools to find one that would allow a player who had competed in games with professionals to participate on its team. He worked to achieve academic eligibility to compete as an NCAA freshman. 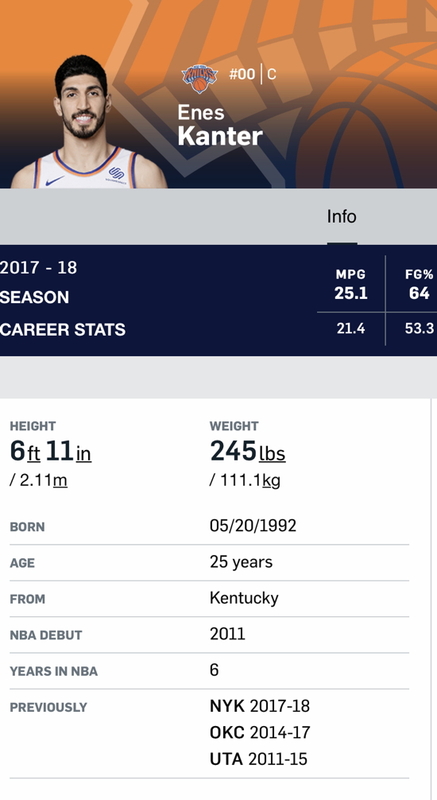 He enrolled at the University of Kentucky and attended summer classes and passed on the national team because it would have interfered with fall semester classes at UK. And then he subjected himself to the NCAA's excruciating and invasive amateurism review. The process is unpleasant, unyielding and at times unfair. But Kanter and his family endured all of it. One might expect a person willing to fight that hard to be a part of intercollegiate athletes is someone the NCAA staff would want to include in its competitions. But one would be incorrect. 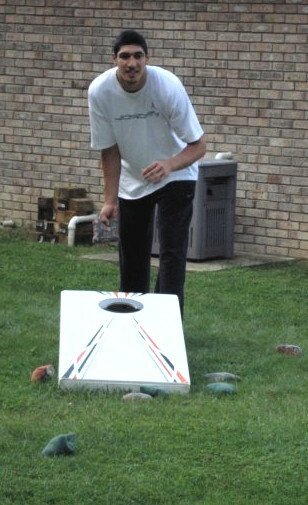 With the membership having changed the rules on international players to make the process of entering college basketball less punitive - West Virginia center Deniz Kilicli, for instance, had to sit out 20 games of his freshman season in 2009-10 - the staff has undermined that detente by focusing on the Kanters' execution rather than their intent. 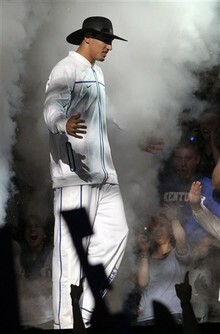 NCAA basketball is the best place in the world for young players to enhance their talents. U.S. colleges and their students benefit greatly from the diversity foreign students provide. But the organization's slamming door will discourage the best international prospects from wanting to play here. Max Ergul, Kanter's adviser in the process of immigrating to the U.S., said he expected the organization's decision to be disappointing. 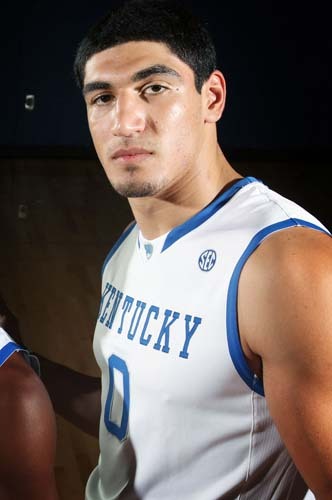 "But I'm happy that it's still alive," he said, pinning his hopes for Enes to play at Kentucky on the university's planned appeal to the NCAA's student-athlete reinstatement committee, which is composed of representatives from member schools and conferences. Kentucky plans to file the appeal soon after returning from its participation in the Maui Invitational in late November. It's hard to know what the appeals committee will decide, given how rarely the NCAA declares a high-profile athlete to be permanently ineligible. 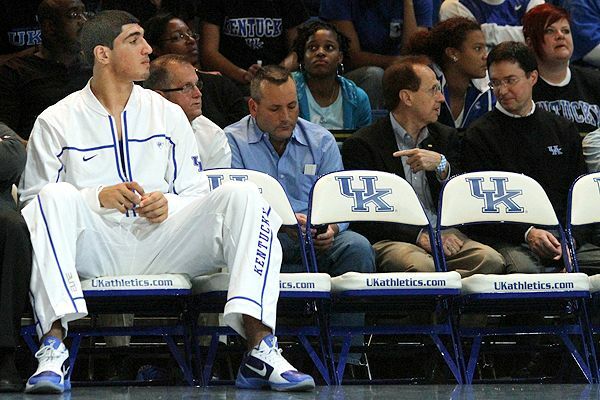 It's fairly clear a just decision would allow Kanter to take the court for Kentucky at some point this winter, but with the NCAA having already fired an airball, justice seems like a long-range shot.